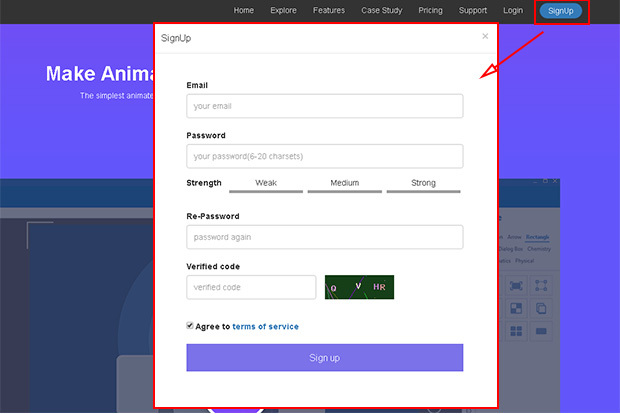 Firstly, you need to create an Animiz Account on its official website: http://animiz.com/. Then two easy ways for you to upgrade free Animiz account. Visit Animiz pricing page: http://www.animiz.com/pricing and choose your packages with "BUY NOW" button. 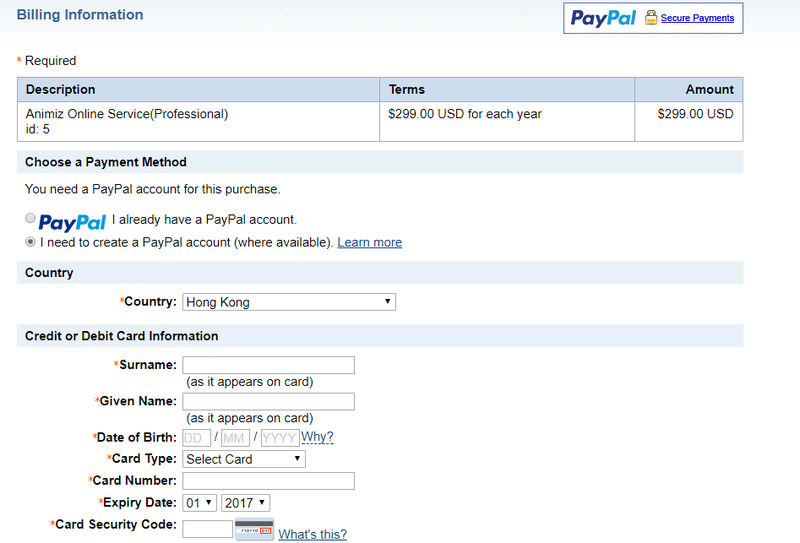 Then click "Confirm" button to go to the Paypal Page to complete your order. After paying, you can have Standard/Professional/Enterprise account. 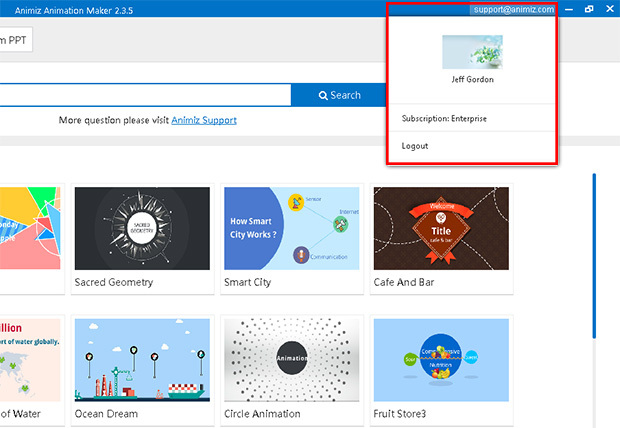 Then you can download Animiz desktop version and log in your Standard/Professional/Enterprise account to make animated videos or gifs. 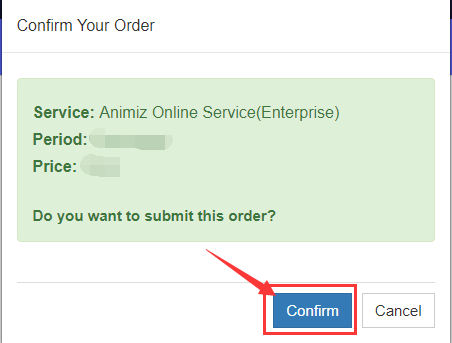 When you have bought Animiz Standard/professional/Enterprise package, you will get an activation code at your email. 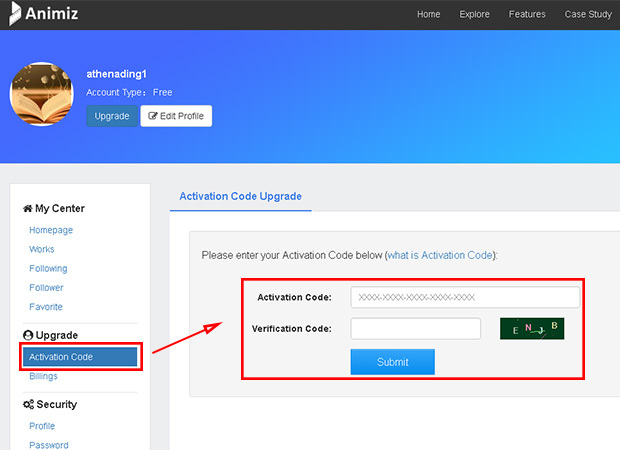 Then you can Log in your account in Animiz offical website, click the "Homepage" button to go to "Activation Code" interface to activate your account with activation code. 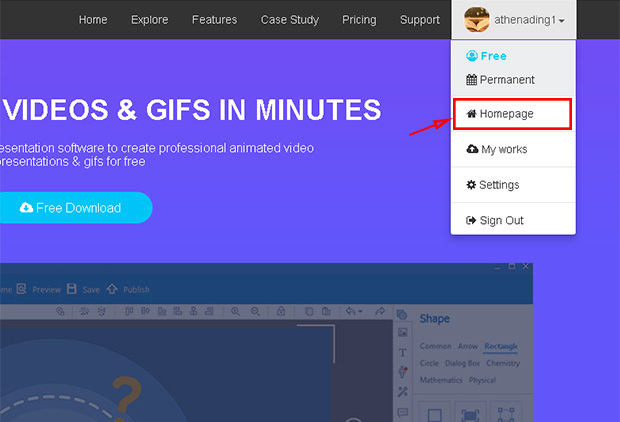 After upgrading, you can start Animiz desktop client and sign in with your account to create animated videos or gifs. Next：How to remove watermark in published videos?